The Giantleap project announces today the release of a new public report on experiments on a full-size stack performed at ElringKlinger with the support of SINTEF. 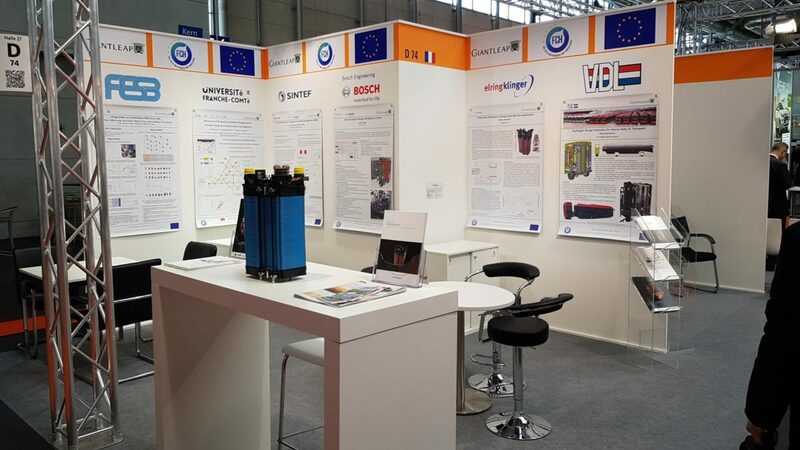 The Giantleap project organised last week a booth at the Hanover Fair‘s section for Hydrogen and Fuel Cells. Many visitors were very interested, to the point we started running out of brochures already on Wednesday. See you at the Hanover Fair! 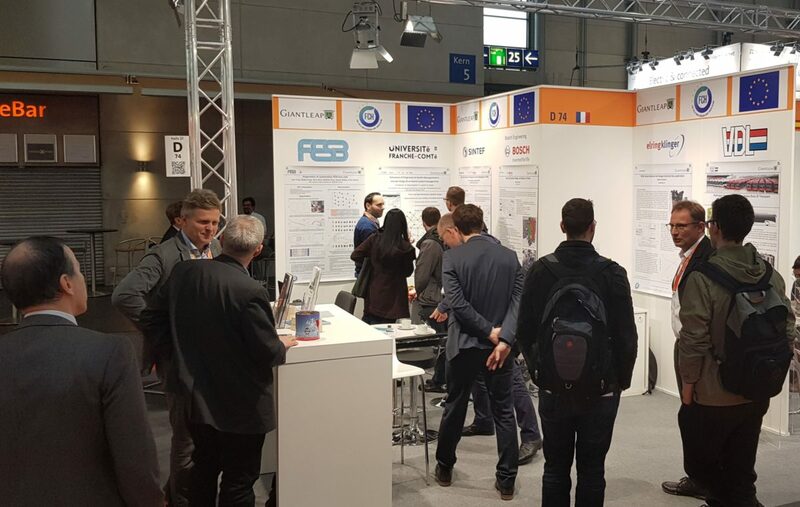 Giantleap will in two weeks be represented at the Hanover Fair in Germany, from April 1 to 5. We will be in Hall 27, Booth D74. Closest entrance is West 2. Giantleap partner FESB has recently completed a public report on their progress towards the development of techniques to recover fuel-cell degradation that was previously thought to be irreversible. This may have profound impact on the lifetime of fuel cells and their commercialisation. The Giantleap project will deliver a plenary keynote presentation at the 8th conference on Fundamentals and Development of Fuel Cells in Nantes, France, 12-14 February 2019. [UPDATE] The presentation is available at this link. 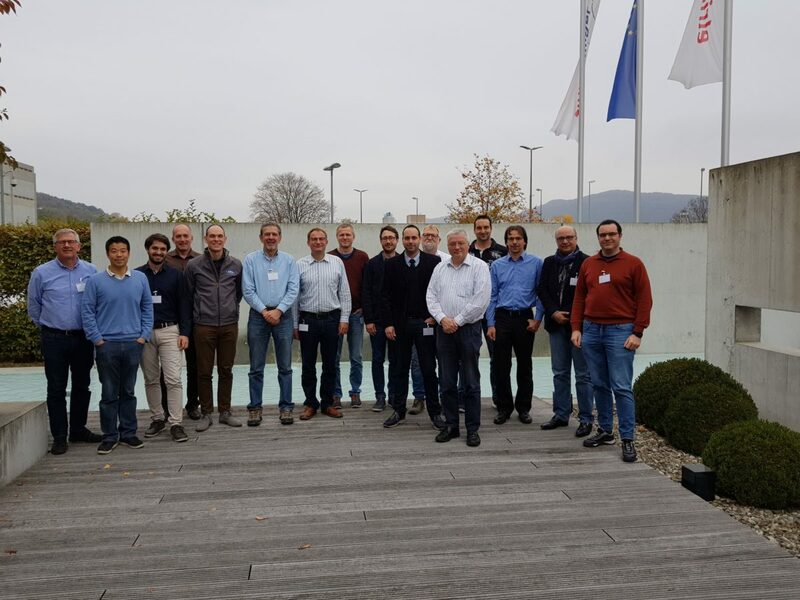 Bosch Engineering has recently completed a long-awaited report on long-term durability experiments on balance-of-plant (BoP) components in fuel-cell systems. 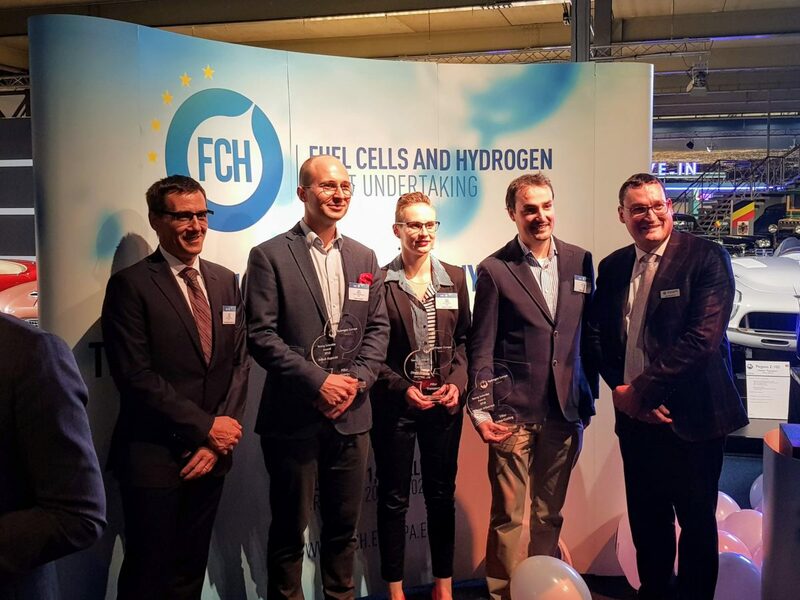 Elodie Pahon, a young researcher working on Giantleap and previously on its predecessor project Sapphire at the University of Franche-Comté, was awarded the prize for best Young Scientist by Hydrogen Europe Research at a ceremony organised in connection with the FCH JU Programme Review Days on November 15, 2018. Ms. Pahon won in the category associated to the Transport pillar (one out of only three categories) for her work in diagnostics and prognostics of fuel cells, the very core topic of projects Giantleap and Sapphire. The Giantleap project congratulates Ms. Pahon and UFC on the award!